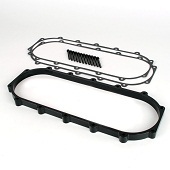 Reduce intake temperatures and increase performance with BLOX Intake Manifold Gaskets. These gaskets have been dyno proven to add up to 3-5 ft lb of torque and 5 peak HP across the entire power band on a completely stock Type-S. 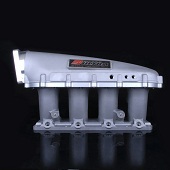 The base model manifold is made out of 70% out of plastic so gains will not be as high. Increase the plenum volume by 1-liter in your Ultra Series Race intake manifold with our new billet aluminum plenum spacer. 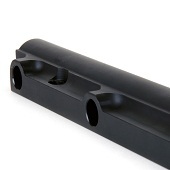 This spacer kit includes bolts and a gaskets to fit our Ultra Series Race intake manifold for either the B or K-series. Increase the plenum volume by 2-liters in your Ultra Series Race intake manifold with our new billet aluminum plenum spacer. 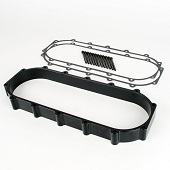 This spacer kit includes bolts and a gaskets to fit our Ultra Series Race intake manifold for either the B or K-series. 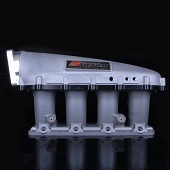 Engineers at Skunk2 Racing have developed primary and secondary fuel rails for the popular Ultra-Series Race intake manifold. Skunk2â€™s newest fuel rails are made from 6061-T6 aluminum, features large 0.669-inch internal bores and -8 AN o-ring thread, and can support up to 1,200hp.